Below, without limitation, are the general creative content guidelines regarding advertising materials for D1 BASEBALL HOLDINGS, LLC sites; provided, however, nothing contained herein shall limit D1 BASEBALL HOLDINGS, LLC’s right to reject any advertisement at any time. The advertising creative content must be clearly identifiable as an advertisement and may not be disguised as editorial content, as determined by D1 BASEBALL HOLDINGS, LLC. Advertisers must fulfill the advertised offer as stated in the advertisement, including without limitation, not altering any offer periods, product offers or prices that are stated in the advertisement. Any collection of personal information must be in full compliance with all privacy laws, including COPPA where applicable. Advertiser must clearly explain to the guest how Advertiser will use the personal information collected. Advertiser must provide all guests with an alternate user experience that doesn’t require submitting personal information. Advertiser will be required to include notification which remains on guest’s screen for a minimum of 8 seconds while Advertiser’s landing page is loading in the background. The interstitial must inform the guests that they are being sent to a site outside of D1 BASEBALL HOLDINGS, LLC. 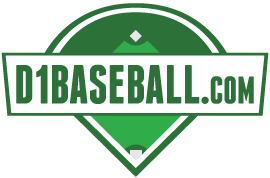 D1 BASEBALL HOLDINGS, LLC shall provide the interstitial unless Advertiser prefers to provide its own interstitial which has been approved by D1 BASEBALL HOLDINGS, LLC. Advertiser must comply with all provisions of COPPA. D1 BASEBALL HOLDINGS, LLC reserves the right to display notification messages, including but not limited to roll-over messaging, as it deems appropriate in order to disclose the commercial nature of an advertisement.